Trade up to this home and we will BUY yours!! 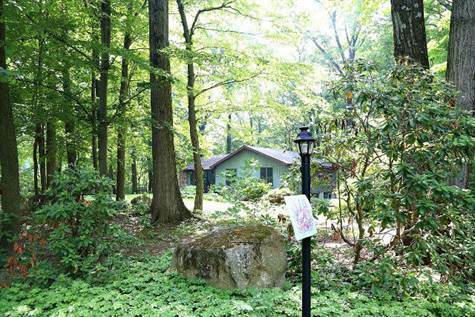 Remarkable location for nature lovers on over 2 acres! Come check out this awesome new listing in scenic Milford Township Upper Bucks County. Purchase this home with USDA ZERO money down financing! This amazing property is less then 2 minutes to the Quakertown exit of the turnpike for the commuter yet sits on a gorgeous wooded lot on a quiet street. The owners have already found their new home and are motivated sellers. Owners will consider all offers. Owners have also set up an in law suite in the walk out lower level including a full bathroom, bedroom and kitchen/living room (It can use some finishing touches). The extended family living quarters has walk out french doors with private patio below the upper deck. The owners converted the 3rd garage into a workshop but could easily be converted back. Roof installed 2000, In law suite started 1998, New Well Pump 2005, Heater/Central Air installed 2007, 220 Electric Service, Updated Kitchen and bathroom. Master suite has a huge walk in closet and whirlpool tub with separate shower. It can have a deck/balcony added easily. Spacious hall bathroom and two nice sized bedrooms complete the first floor. Gas Fireplace adds charm of the enormous living room with vaulted ceilings off the entry foyer. Handicap accessible. Propane gas heaters added to master bedroom and lower level The home has an deck to enjoy your gorgeous view of your own piece of heaven, schedule your showing today!